Bed bugs Guildford: NMT Bed Bug removal and Bed Bugs control treatments in Guildford, Surrey. - Welcome to NMT Pest Control. We control bed bugs, moths, wasps, mice, mouse proofing, cockroaches, ants, flies, spiders and other unwelcome visitors. Guaranteed Bed Bug Control & Removal Treatments in Guildford, Surrey. Bed Bug removal treatments in Guildford, Surrey - NMT Bed bug pest Control offer a comprehensive Bed Bug control treatment service to residential and commercial customers in London, Surrey and West Sussex. We have appointment slots available throughout the week in London. We also work on bank holiday weekends, we can often treat the Bed Bug control problem on the same/next day. Our Guildford pest control operatives are trained to BPCA/RSPH level 2 certificate standards, are fully insured to a value of £5.000.000 and use discreet, non sign written pest control vans. How can I tell they are bed bugs? 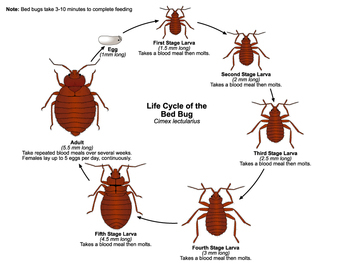 Bedbugs are nocturnal beings that feed on human blood. They are brown in colour, and are 4-5mm long when they reach adulthood. The freshly hatched nymphs are extremely tiny, roughly 1.5mm long. At first the newly hatched nymphs are translucent, getting browner as they develop and moult. Bedbugs are oval and flat, have six legs and do not have wings. House dust mites are frequently referred to as bedbugs but are not. Dust mites are very small (0.4mm) arachnids, and are typically located in duvets, mattresses and pillows. What indicators ought I search for? As bedbugs feast on blood, the primary factor you will observe is bites on the body. If you do discover you are getting bitten, you must search for clues that the bugs are present. 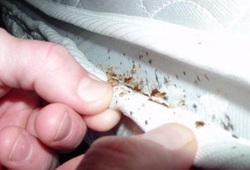 Bedbugs typically nest in the area of the host, so search around the your bed. You may possibly see the live insects and nymphs, and you might see their excrement, which show up as brown/black dots and smears. They are far more likely to live in areas that are messy or dis-organised, but their occurrence does not suggest that your residence is unclean. They can be bought into the property or home by means of 2nd hand pieces of furniture, by individuals or pets, or they may enter via an adjacent property. Are Bed bugs a threat to my health? Bedbugs are not a significant danger to health. Nevertheless, bites need to be addressed with care, and must not be scratched. This reduces the likelihood of additional infection. Their existence is more of a nuisance than a health threat. I believe I have bed bugs in my Guildford residence, what should I do? If you think you have bedbugs in your home, NMT Pest Control is in a position to help. We provide a fast and specialist Bedbug treatment, and will be in a position to supply guidance on long term protection. All products and services are chargeable, and the charge will cover you until the treatment is finished, with no concealed extras. Please note, the fee will be payable at the time of the treatment. What will we do when we visit? Before our visit, we request that you do a number of things to make sure that the procedure is as successful as possible. We advise that you vacuum the property or home extensively, which includes all-around the edges and beneath furnishings, and get rid of of the contents of the vacuum. All flooring surfaces (which include beneath beds), need to be cleared of papers, playthings, apparel etc. All pet bedding must be washed, and any fish tanks, hamster hutches etc, should be protected. We're able to visit your property on the agreed upon date and time. Our Pest Control Officer will survey and treat the effected areas with the most suitable residual insecticide through the property or home. Following the procedure, you can assist us further by vacating the property for two/three hours to enable the insecticide to dry, and not vacuuming the treated areas for 21 days following the treatment. Bedbugs multiply applying an approach known as ‘traumatic insemination’, which implies the male punctures the female’s abdominal area. In theory, it is feasible to convey how numerous a female has reproduced. The females will lay down five eggs within a 24 hour period, which translates to around 500 eggs in their life time. These eggs take two weeks to hatch out, and will develop into an adult in five weeks. Bedbugs feast entirely on blood, and are drawn to a host by warmth and carbon dioxide. They use their needle formed mouth area to permeate the skin. The mouth elements are designed with two tubes; one of which inserts spittle comprising anticoagulants and anaesthetics, the other is used to draw up the blood. It will feast right until it is full, which typically takes around five minutes. Their flat form enables them to press into cracks and holes, in which they can reside for months without feeding. We Recommend that all customers contact NMT pest control at the first signs of Bed Bug activity on 01403 390074 and ask to speak to Neil.